MOSCOW, December 29. /TASS/. 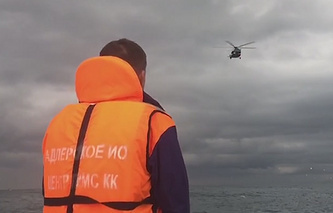 The third flight data recorder that was in the tail section of the Tu-154 plane has been destroyed, a law enforcement source told TASS on Thursday. "A tape has been found from the third black box and this shows that it was destroyed," the source said. Despite the tape has been deformed, it may be partly deciphered, according to the source. "The third black box that was in the tail section, duplicates the parameters of the two others that are in Moscow. Its tape has been found and it is seriously deformed but it can be decoded," the source said. The condition of two flight data recorders - the cockpit voice recorder and the main one (that records parametric data) is satisfactory. "Their decoding is taking place in Moscow," the source said. The decoding will be completed soon, according to the source. "It may be completed soon, possibly, tomorrow," the source said. 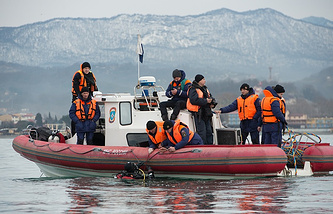 A Russian Defense Ministry Tu-154 plane bound for Syria crashed in the early morning hours of December 25 shortly after taking off from the Black Sea resort city of Sochi. There were 92 people on board the aircraft, including eight crew members and 84 passengers. Among them were journalists, servicemen and musicians from the world-renowned Alexandrov ensemble, the official choir of the Russian armed forces, who set off to celebrate New Year’s Eve with Russia’s Aerospace Forces at the Hmeymim air base in Syria. The Executive Director of the Spravedlivaya Pomoshch (Russian for Fair Aid) charity fund Elizaveta Glinka, known to the Russian public as Dr. Liza, was also on board the flight. 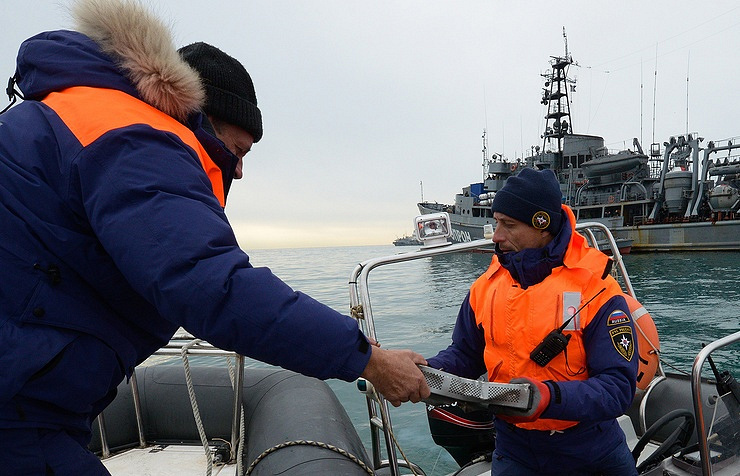 The Defense Ministry said that debris from the Tu-154 aircraft was found 1.5 km off the coast of Sochi at a depth of 50-70 meters.